Audi has introduced a new variant of the TTRS sports car – the TTRS plus - with boosted power and an increased top speed, making it capable of 174mph. It’s offered in both Coupe and Roadster forms, and prices start at £48,945 and order books open in early May. 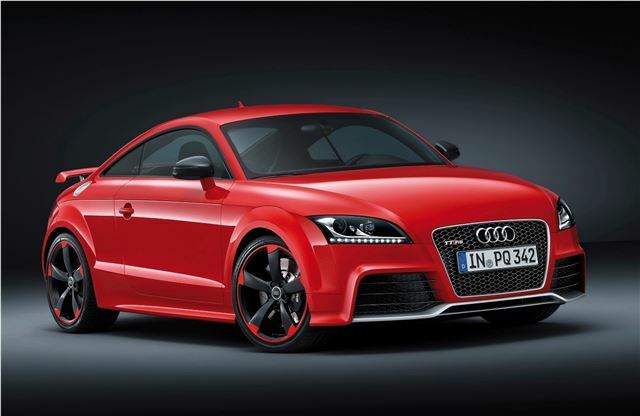 The TTRS plus produces 360PS, up from 340PS in the standard TTRS, with torque up 15Nm to 465Nm. That means a 0-62mph sprint of 4.1 seconds when the S Tronic gearbox is specified. Fuel economy is a respectable if unexceptional 33.2mpg – although for a car with such performance isn’t bad at all. Besides the increased performance, the TTRS plus benefits from 19-inch alloy wheels as standard, as well as a sports exhaust, sat nav, Bluetooth, and an iPod socket. Under the bonnet, the engine is shrouded in black carbon fibre, and in the cabin there are bespoke TTRS plus badges on the gearknob. Both manual and S Tronic gearboxes are offered. Prices for the Coupe start at £48,945, while the Roadster is priced from £50,925.